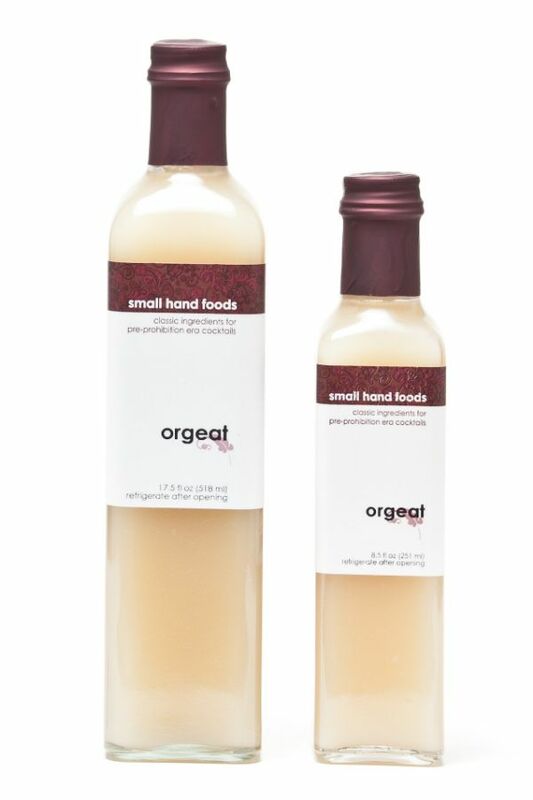 Pronounced or-zhat, orgeat is a French almond syrup, originally made from barley and used as a shelf-stable milk substitute. Many cultures have versions, from Basque orxata to Dutch orgeade to Mexican horchata. Made from California almonds and a small proportion of apricot kernels to give it a distinct "marzipan" flavor without the addition of extract. Organic cane sugar, orange flower water and California brandy are added to result in a rich, flavorful syrup with delicate floral notes. Orgeat is used in the Mai Tai, a drink invented at Trader Vic's in Oakland, as well as the Japanese Cocktail and various absinthe concoctions. It is also delicious with seltzer alone as a spritzer.